Whether it's heating, cooling, or the improving the air quality of your home or business, rest assured that NW Ventilation has the right product for you. With quality products and packages from Trane, NW Ventilation will meet your needs and provide you with the best heating, air conditioning, and indoor air quality solution. 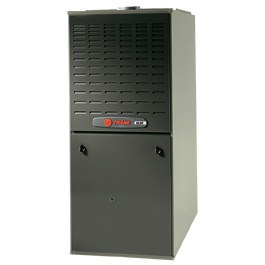 No matter what the temperature might be outside, the XL80 variable speed gas furnace is designed to provide a consistent, predictable flow of warm air to keep your family comfortable all winter long. The XL80 is rated with up to 80% AFUE. We service Camas, Vancouver, Washougal, Rigefield, Battleground, Hazel Del, Hockinson, La Center, Amboy, Yacolt, Brush Prairie, and the greater Portland Oregon areas. As a trade ally contractor of Energy Trust of Oregon, we can help with cash incentives and state energy tax credits to improve the energy efficiency of your home.